Acquiring the best culinary education can help you get to your desired professional level a lot easier. While there are many successful chefs that have attained success and fame without attending the best culinary schools, well respected culinary schools can help you learn the skills, knowledge, artistry, and techniques that you need to rank high in the field. In this article, we have listed the top 10 culinary schools in the world. A word of caution though for all our readers. The listing is based on our online research and in no way we intend to make any claims here. We don’t endorse or promote any of these Culinary schools and thus our readers are requested to consider this article as an informative article on top culinary schools. You must do your proper research before deciding to take admission to one of these institutions. While the nature of the article forces us to rank these culinary schools, it would be fair to say that all of these are great institutes and almost equal in stature and repute. Thus the ranking is not as 1-10 but is done in an alphabetical order to avoid contradictions. So, without any more commentary, let’s get started now with the list of best culinary institutes in the world. If you are considering a professional career as a chef or are simply looking to expand your culinary know-how, you can check the listing below. A lot of the Top Hotel Management Schools in the world also have culinary courses in their programmes. However, we have only included the schools which are focussed exclusively on culinary programmes. The Auguste Escoffier School of Culinary Arts is named after the world-famous Auguste Escoffier who revolutionized modern French cuisine and the Cordon Bleu. The school teaches the skills and techniques of Auguste Escoffier himself. Check all about the institute and the programs it offers at the Official website of Auguste Escoffier School of Culinary Arts. Castello di Vicarello offers guests staying with them professional cooking lessons. This is a Castle Hotel in Tuscany which offers short professional courses. Learning the art of Pasta, Bread making and pastry making is what you can expect at the Tuscan Kitchen. Therefore, if you are only looking to expand your skills as an amateur home cook, this would be the best place to learn. Explore more about the Experiences at Castello di Vicarello here. The Culinary Institute of America offers students hands-on programs but it also places emphasis on on-the-job experience through internships. This Culinary School is ranked among the top 6 best Culinary schools in the world by Advisory HQ. The Hattori College in Japan was established by Yukio Hattori, the popular Iron Chef. The students attending the college enjoy the opportunity to create unique masterpieces that they can showcase to paying guests. The college provides Dietary Education and is one of the renowned culinary schools in Asia. Established in 1939 as Tokyo Nutrition School, Hattori Nutrition College acts as a fusion of traditional and modern culinary world. 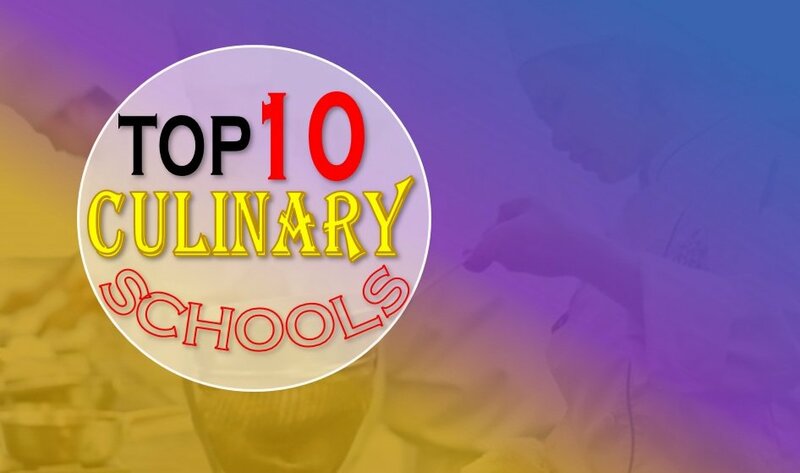 It is ranked 1st in the Cooking Schools ranking of top 10 Culinary Institutes in the world. Check the listing here for details. Students that graduate from the Kendal College often enjoys positions in high end and well-to-do establishments. Kendall College has received a lot of recognition and awards in the USA and around the globe. It is considered to be a culinary reputation high in quality and repute which aims to bring up regular innovation to the food and beverage industry. Le Cordon Bleu is considered one of the most illustrious institutions to get a culinary education. If you are highly interested in French gastronomy and cooking, Le Cordon Bleu could be the ideal place for you to learn. Some popular chefs that studied at Le Cordon Bleu include Julia Child, Nathalie Dupree and more. Le Cordon Bleu now has 23 institutions across 5 continents and thus you might be closer to a Cordon Bleu Culinary institute than you think. Check out the Programmes and Le Cordon Bleu Brochures here. The New England Culinary Institute is known for producing world-class chefs as well as a variety of courses such as baking and pastry, food and beverage management, as well as culinary arts. Located in Vermont, USA this culinary institute was founded in 1980 and has soon found a place in most of the rankings of top culinary colleges around the globe. The School of Artisan Food situated in the UK is known for courses in bread making, cheese making, brewing and more artisan skills. It is located in Nottingham’s Sherwood Forest and is one of the best schools to learn bespoke cooking skills. So, if you are a chef who would like to gain a specialised education in particular cooking areas or enhance your skills, this college is the right place for you. Have a look at the Course page of School of Artisan Food for further details. The Best Schools Ranking has put them on top in their list of 30 best Culinary schools in the world ranking. The Culinary Institute of America at Hyde Park is situated along the picturesque Hudson River. It offers a number of courses in several fields including applied food science and food management. The International Culinary Centre is ranked 3rd in the College Rank listing of 20 best Culinary Programmes in the world. 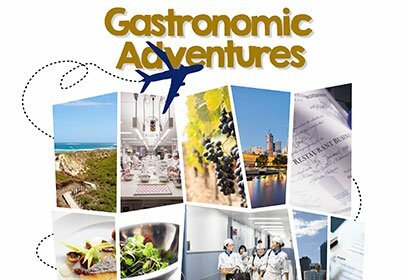 This award-winning French Culinary Institute has campuses in New York City and San Francisco Bay Area. The International Culinary Center offers the best culinary education combining both practical skills and theory to produce independent graduates. Check out this useful resource to find a local or international Culinary Schools here. We missed quite a few top institutes here which deserve to be on the list of top 10 culinary schools in the world. We have ensured to include in this article a lot of resources from various renowned ranking systems and blogs for our readers to check our other great culinary programmes and evaluate all options properly. Here’s a quick video highlighting some of the great Culinary schools most of which are included in this post. Here you go. Our list of top 10 Culinary schools in the world. As mentioned already, we don’t make any claims here. We just wish this article to be a good starting point for the aspirants who want to become great chefs of the future. So, if you feel you have got what it takes to become one of the Celebrity chefs in the world in the years to come, stepping your foot into one of these great institutions would be a good start. The hospitality industry is based on talent and experience and nothing can beat that. However, a good education and training will help you leapfrog the competition to get ahead of the pack.